ELS/Ruston is located on the 103-hectare campus of Louisiana Tech University, a four-year public institution awarding bachelors, masters and doctoral degrees. Louisiana Techs diverse student population of more than 11,000 represents 70 countries from around the world. Ruston is a friendly southern town and is home to parks, lakes and world-class mountain biking trails. 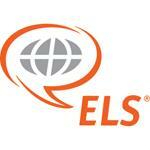 More than 550 U.S. universities, colleges and career schools recognize completion of the ELS Intensive English program as satisfaction of their English language admissions requirement, in place of the TOEFL or other exam. The ELS Language Centers University Placement Service can also help students secure placement in a U.S. university, college or career school before they leave home. The center also provides college placement assistance to currently enrolled students. International students who continue in a degree program at LTU can receive tuition scholarships of up to 50% after 24 semester credits if they have a 3.0 GPA or better.